Looking for one compact 'travel zoom' camera that does it all? If you haven't had your head turned by the workmanlike reliability of Panasonic's TZ series, such as the Panasonic Lumix TZ20, nor sports car exterior and gimmicky triple-action sensor of the Fuji FinePix F600 EXR, then the chunkier Sony Cyber-Shot DSC-HX9V,at 34mm 'thick', is another to add to that checklist. 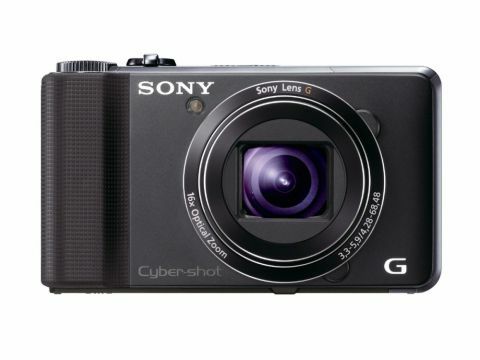 Part of Sony's high performance range of compact cameras, it shares or matches many of the core features of both rivals, while slipping readily into a pocket or bag. For starters, there's a 16.2MP top stills resolution, this time from a 1/2.3-inch Exmor R CMOS sensor. If you're not bothered about a camera with a degree of expandability, nor the interchangeable lenses found on CSCs, the Sony Cyber-shot HX9V on paper at least would seem to fit the bill as a jack of all trades. But how does it do in practice?